First off we need to come clean. The image above is a mock up and isn't possible. But fruit cocktail trees are real. This post explains what they are and how you might be able to grow your own. Many gardeners wish that they could grow different varieties of fruit on the same tree because they simply don't have enough space to grow more than one variety. While it is still not possible to grow different species on the same tree, fruits within the same family can grow well on the same tree. 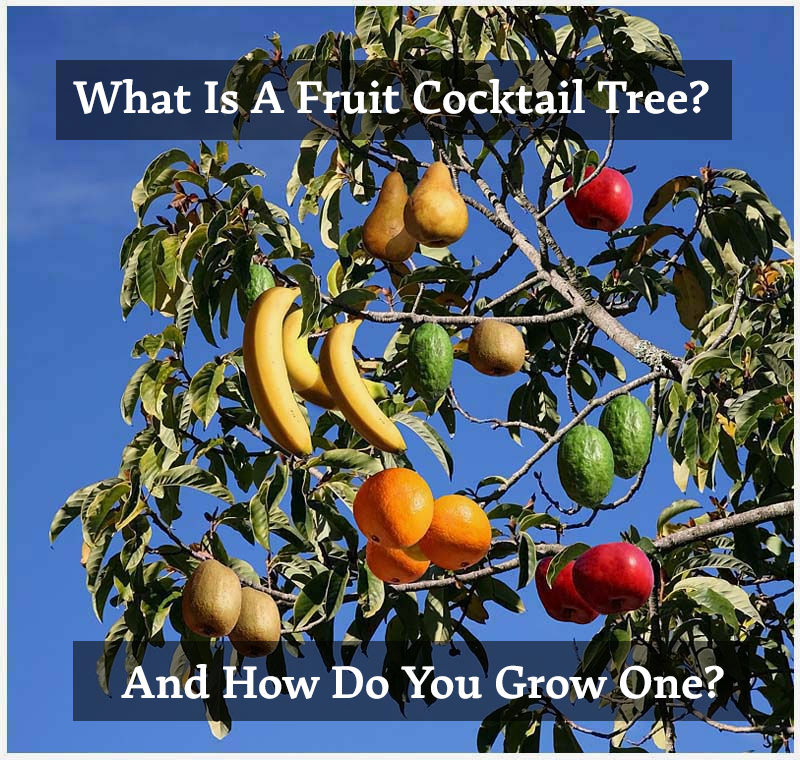 Growers call this a fruit cocktail tree! For example.... it's possible to grow different varieties of apples on the same tree. Gardeners can also grow different varieties of stone fruit such as peaches, plums, and nectarines on the same tree or various types of citrus like oranges, lemons and limes on the same plant. If this sounds like fun, then you can buy one commercially, or you can create your own. The first and most important decision that the grower needs to make is which rootstock he will choose. You need to pick a tree that does well in your gardens soil conditions. You will want to choose a rootstock that is known for being disease free in your area, and that has a great root structure. Before you begin any grafting, you need to plant the tree and give it time to get well established in its environment. The tree should have five to six main branches before you begin any grafting. You will then want to get scions. These are tree limbs that have borne fruit the previous year. You can cut your own from a friend’s tree in the winter when the tree is dormant, or you can buy scions commercially. Choose varieties that self-pollinate when selecting scions. If you are cutting your own, then keep them in moist sawdust in a cool place during the winter. If you are buying them commercially, then follow the nursery’s directions.